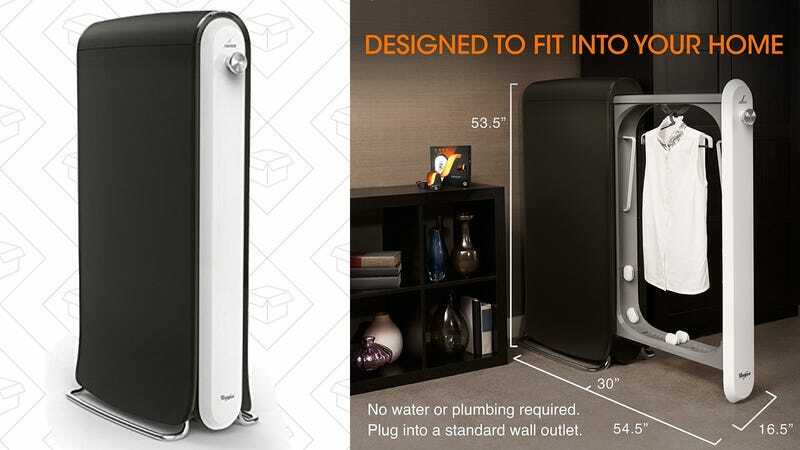 If you’ve got the space for it, the Swash Express clothing care system can freshen up your favorite outfits, and it’s never been cheaper than it is today. All you have to do is plug Swash into a standard wall outlet, add a special detergent pod (made by Tide), and hang your clothes inside. After 10 minutes, your outfit will smell great and will be free of any wrinkles. It won’t completely eliminate your dry cleaning bills, but it will let you go longer between trips. Just remember that today’s price is only available today, or until sold out.